At Oxford Circus station you can also use Bakerloo Line and Victoria Line. Most shops and department stores are open Monday to Saturday from 9:30 till 21:00 o'clock and Sunday from 11:30 till 18:00 o'clock. 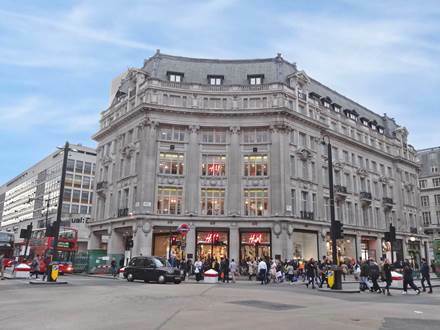 Tip: The Oxford Street is not only popular for the numerous shops but unfortunately also for the crowds of people. If possible try to avoid the shopping street in the time from 17:00 to 18:30 o'clock and on Saturday afternoon. Since there are usually dense crowds and waiting queues at the underground stations. 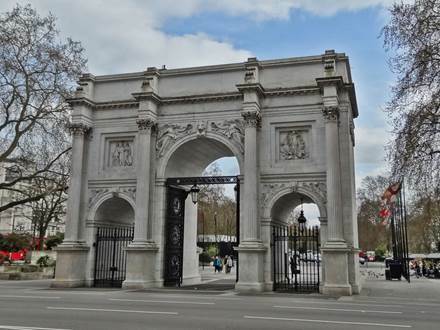 The area with the biggest department stores and shops is located between the 3 underground stations Marble Arch, Bond Street and Oxford Circus. On a length of about 1.2 km you will find plenty of shopping opportunities in various price ranges. If you start your shopping spree at Marble Arch you will encounter some of the top shopping opportunities in London in the order described below. The respectively house number is specified in brackets. 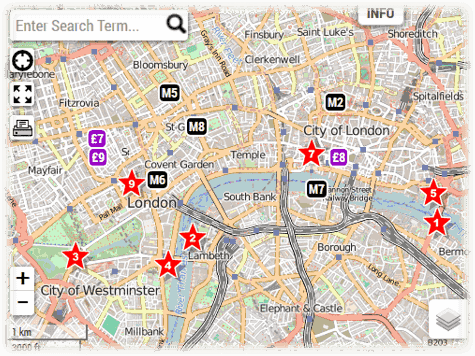 What are the top department stores & shops? 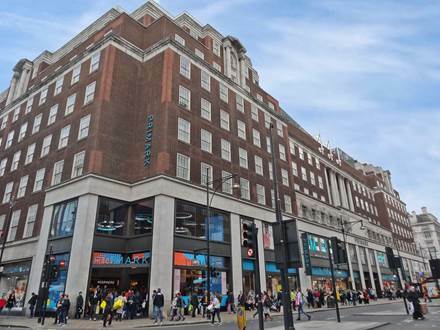 As soon as you leave the Marble Arch underground station at the exit Oxford Street you will see at the beginning of the shopping street the Primark lettering on a red brick building. This Primark branch (No. 499-517) has a sales space of approx. 6500 m². Here you get really cheap fashion like in the other branches of this textile discounter. T-shirt prices higher than 10 £ are the exception rather than the rule. Everybody should decide by himself whether the quality is sufficient or not. Right in the next building, which is called Park House and has a modern glass facade, is the location of a further notable shop, a branch of the fashion chain River Island (No. 473). This British company has its headquartered in London and is known for affordable young and hip fashion. In the year 2013 the singer Rhianna presented her own fashion collection in this River Island shop. Those who prefer rather conservative fashion only need to change the side of the street. The flagship store of Marks and Spencer (No. 458) is located there. With 16,000 m² of retail space this is the largest department store of M&S, which operates more than 800 stores in the United Kingdom. The next building occupies an entire street block and is the home to the world famous department store of Selfridges (No. 400). The presentation of the wide range of luxury goods is done in an artfully and elaborate manner. Go on a shopping spree through the various sections of the biggest department store on Oxford Street. 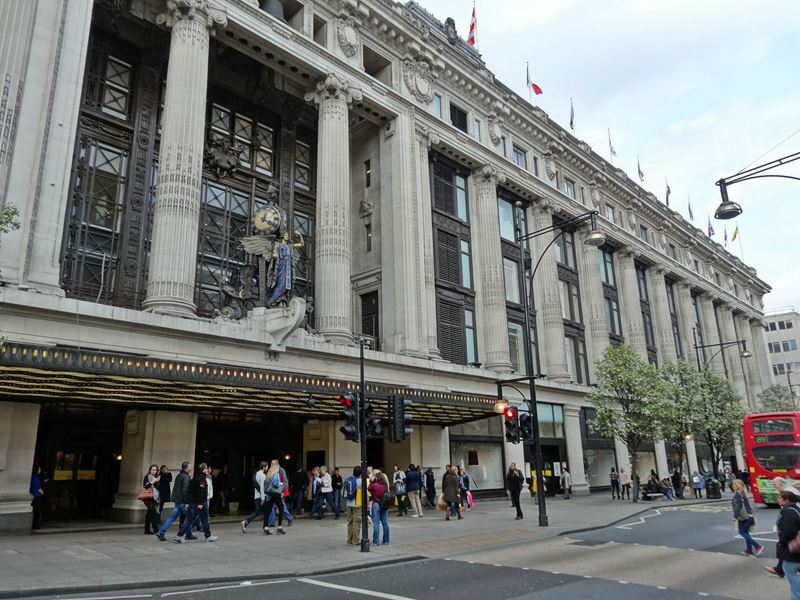 Here you find more info about Selfridges. 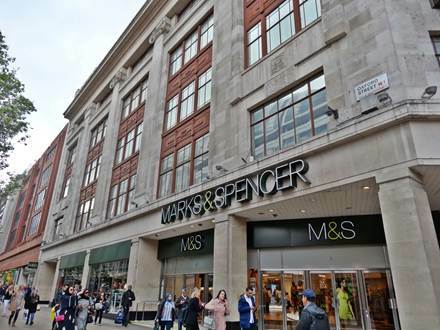 After approximately 300 m a further flagship store of a British department store chain is situated just behind the underground station Bond Street. The building of the Debenhams store (No. 334-348) is equipped with a movable aluminum facade. With wind this facade generates some impressive wave effects. Inside you can choose from a large selection of designer fashions, jewelry, perfumes and other high-quality products in modern designed showrooms. Another branch of a British department store chain is only approx. 150 m away. The John Lewis store (No. 300) is housed in a plain building. From Levi's to Hugo Boss, from Reiss to French Connection, top brand fashions at reasonable prices is the motto here. But there is also a department with a wide range of electronic articles. Now there are only a few meters left till you reach the Oxford Circus, a high-traffic intersection of Oxford Street and Regent Street. Here you will find a flagship store of H&M, the Swedish textile chain, and Niketown (No. 236), London's flagship store of the American sporting goods manufacturer. If you still do not have enough of the shopping spree, then you could either continue to the right at the Regent Street towards Piccadilly Circus, or turn one blocks later to the right towards the pedestrian zone Carnaby Street. 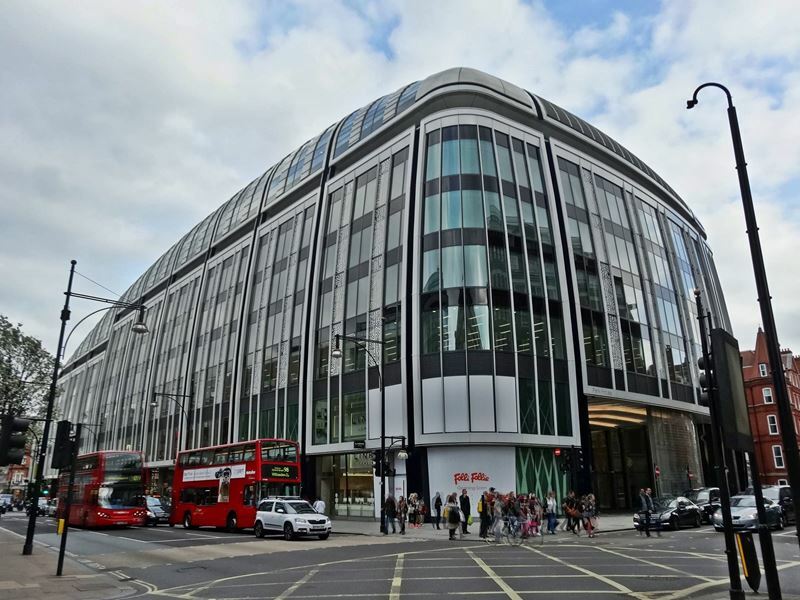 Of course you can also simply continue your walk in the Oxford Street until the underground station Tottenham Court Road. This area of the shopping street is dominated by smaller shops. But there is another huge Primark store directly opposite the entrance to the underground station.